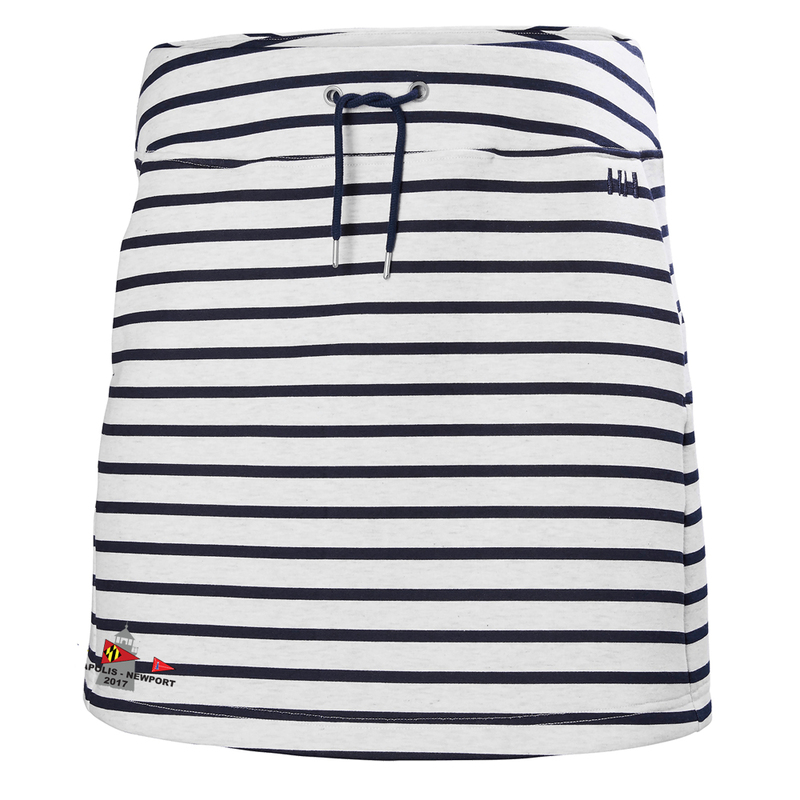 This skirt has the 2017 Annapolis to Newport Race logo embroidered on the right leg. Comfortable and easy pull on short skirt in a technical air knit two faced jersey material. Wear it on your way to the gym or why not pull over your bikini when going for a nice lunch at the beach restaurant. Slant hip pockets and covered wide waistband with drawstring adjustment for a comfortable fit.